Carlos Santana got into a small fender bender on Friday after hitting a parked car while cruising through an upscale Las Vegas neighborhood. The Las Vegas Metro Police Department commented that there was no one inside the parked car at the time of the accident and no injuries to report. 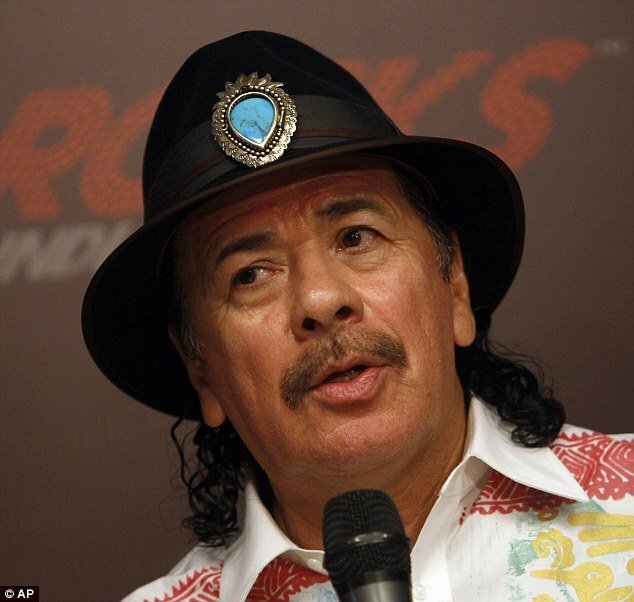 Carlos Santana, 66, was unharmed in the incident. “He hit a parked car,” Police Lt. Ken Roman commented to the Las Vegas Review Journal. Carlos Santana was not driving under the influence at the time. Roman further stated that the accident was “minor”. The guitarist was in Vegas at the time for a handful of shows at the House of Blues at the Mandalay Bay hotel and casino on the Strip. Carlos Santana has been a major influence on the music scene since the ’60s. Over the spam of his career, Carlos Santana has won 15 Grammys. His best-selling album to date is Supernatural, which sold over 25 million copies and won the Grammy for Album of the Year in 2000. Carlos Santana’s 22nd studio album, Shape Shifter, was release in May 2012.